The purpose of the program is to increase knowledge about the importance of tree diversity in our community. The 2018 Texas Arbor Day Poster Competition theme is, “Trees Are Terrific… in All Shapes and Sizes!” It is designed to increase knowledge about the importance of tree diversity in our community. The curriculum, adapted from the Texas Forest Service. Trees come in different sizes and shapes. Trees have specific growing conditions including soil, location and temperatures. Without a variety of trees one insect or one disease could kill all the trees. A greater diversity of trees means a greater diversity of wildlife. Tree diversity provide beauty in our communities. A Clark Gardens staff member will pick up posters on the date noted below and judges selected by Clark Gardens staff will judge each entry. Schools that have fewer than 15 entries in the poster competition will be combined with other schools at the discretion of the Gardens Director. Those combined schools will be considered as one school campus in the judging process. Each participating school campus will have one poster selected as the overall winner from that school. An overall Best of Show will be selected from the school overall winners. All participating teachers will receive four one-time admission passes to Clark Gardens. Classroom teacher of the school campus winner will receive an annual family membership for four to Clark Gardens along with a $20 gift certificate to the Clark Gardens Gift Shop. The winning student from each participating school will receive an Award Certificate, an annual family membership for four to Clark Gardens, and a framed copy of his/her poster. The student awarded with the Best of Show poster will have a tree planted in their honor at Clark Gardens. Note: All posters remain the property of Clark Gardens and will not be returned to the school or students. Teachers are encouraged to make a photocopy of each student's entry for their classroom or students. 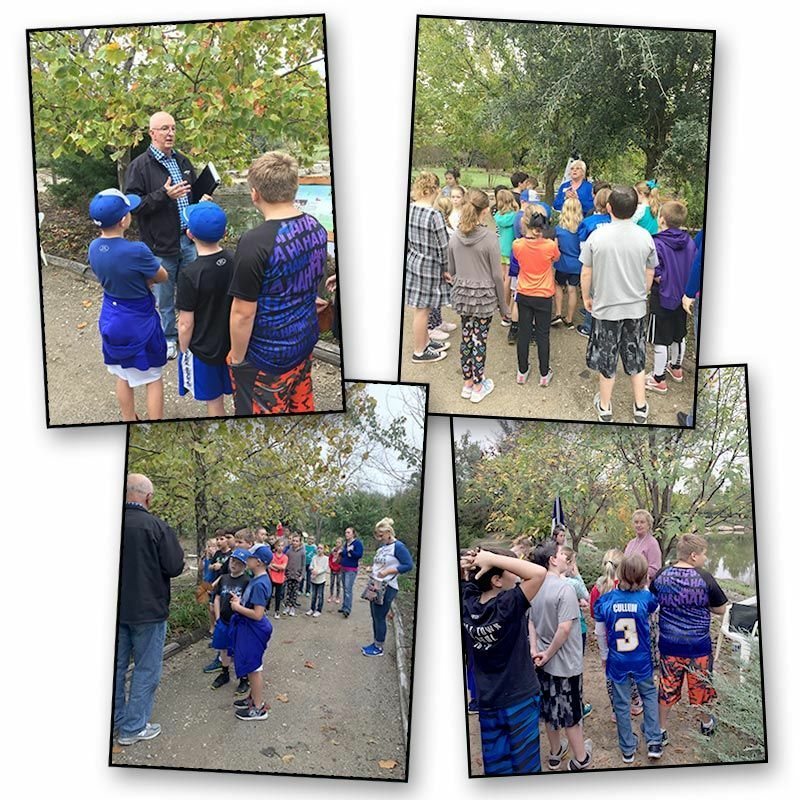 The Clark Gardens Texas Historic Tree Trail and Arbor Day Field Trip is available for 8 classes daily with a maximum of 22 students each on: Dates to be announced. Students will arrive no later than 8:45 with activities beginning at 9:00 am and conclude by 2:00 pm. Picnic lunch breaks are built into the program (school provided sack lunches). Students will tour the Historical Tree Trail and discover the history behind the following Texas historical trees: Alamo Live Oak; LBJ Winged Elm; Sam Houston Kissing Bur Oak; Goose Island Live Oak; and the Moon Sycamore. Along the way students will participate in field study activities studying leaves, bark, and measurement of trees. November 2, 2017 - Registration Opens. Please note there is limited availability for attending the field trip (8 classes daily). On or before March 1, 2018 - Curriculum is available online; if desired curriculum delivered to teachers by a Clark Gardens staff member. Any 4th grade classroom may participate in the Arbor Day Curriculum free of charge. Attending the field day is not mandatory. October 10, 2018 - Registration forms must be completed for classes participating in the Clark Gardens Texas Arbor Day Curriculum and Poster Contest. Subject to availability. Wednesday, October 24, 2018, by 10:00 am - Posters will be picked up by Clark Gardens staff. November 1st and 2nd, 2018 - Optional Clark Gardens Texas Historic Tree Trail and Arbor Day Field Trip. Let us know which day your class prefers to attend on the registration form.School winners and best of show are announced. Certificates of completion are distributed to participating teachers attending the Field Trip. Complete and submit the online registration form below.